Nifty opened positive but below 6700 level and staying flat for the first hour saw huge buying interest to move above 6700 and eventually closed strong around the highs of the day at 6779.40, huge gain of 104.10 points. On a week on week basis the index closed flat, just up by 3.10 points. The broader market was also strong, with 1037 advances to 458 declines. Best support till Expiry is around 6700 Level. 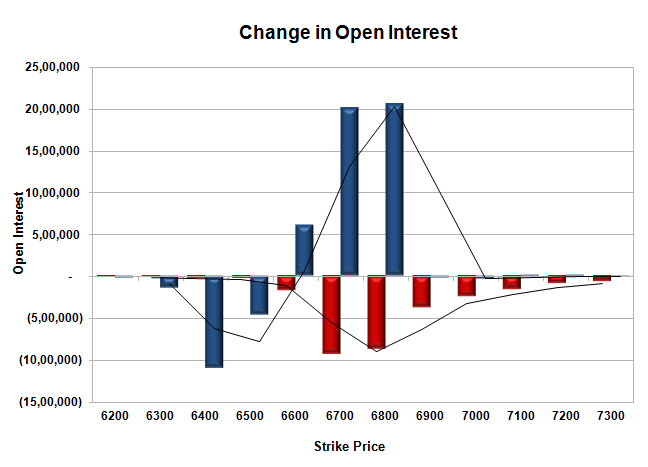 Call option did not add any OI, whereas huge short covering was seen at 6800 and lower strike prices. Put option 6800-6600 added 46.78 lacs huge amount of OI with profit booking seen at 6500 and below strike prices. Nifty Open Interest is at 1,52,80,550 down by 4,44,750, whereas May series added 19.76 lacs with increase in price, most probably 100% roll-over with huge long build-up. Bank Nifty Open Interest is at 14,38,200 up by 30,825, whereas May series added 0.91 lacs with increase in price, most probably long build-up in both series. FII’s bought huge 10.64 lacs Futures, mostly long build-up, as their net OI increased by 17777 contracts (includes 468268 longs to 453890 shorts for the day) and the average price per contract comes to around 6769.45. FII’s future open contract as on date is 401545. PCR Open Interest (Volume) has jumped up to 1.396. 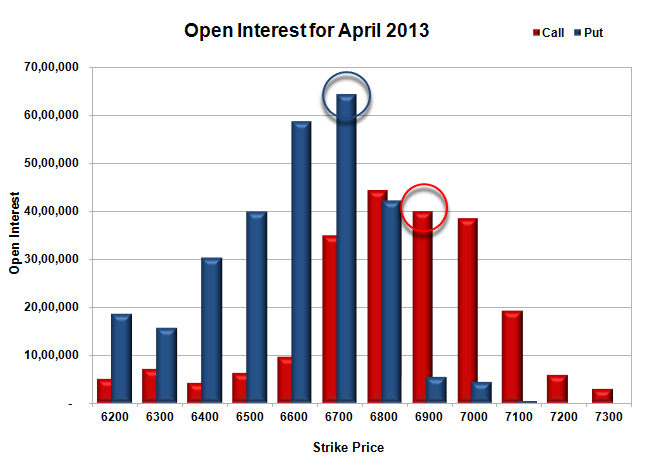 Initial and best support now at 6700, with highest OI of 64.46 lacs and below that at 6600 with huge OI of 58.69 lacs. 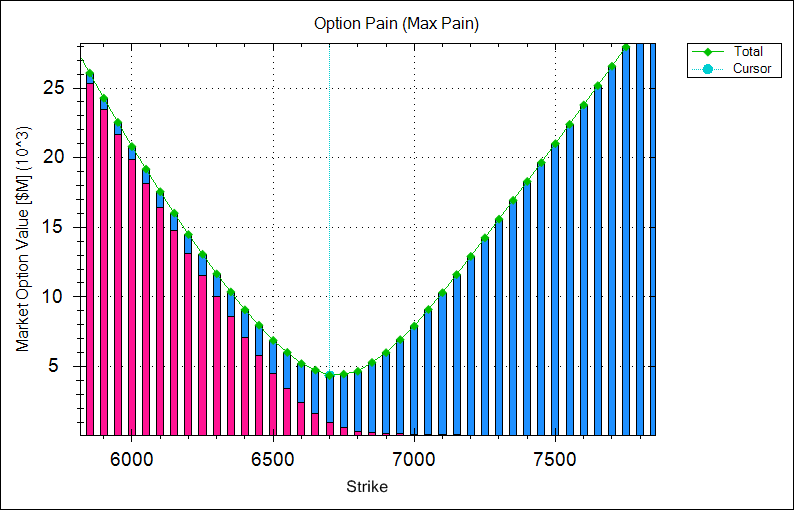 Best resistance is still at 6800 with OI of 44.26 lacs and above that at 6900 with OI of 40.03 lacs. 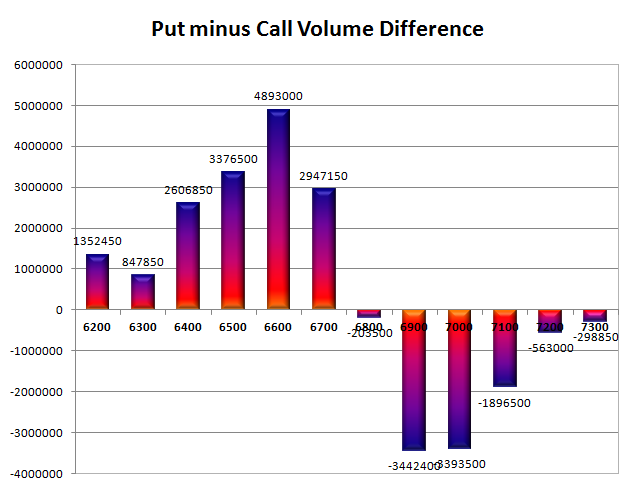 Day Range as per Option Table is 6700 - 6814 and as per VIX is 6670 - 6889 with 6749 as the Pivot.